Medical front office and billing staff are responsible for the daily function of the front office, making sure that things are organized, patients are welcomed, and their information is entered into the office system correctly. Find a medical trade school with front office and billing courses. Tasked with meeting and greeting each patient, medical front office staff are expected to provide the friendly experience and clean environment patients hope for when they walk in the door. Front office staff also work with patient records, some areas of insurance billing, digitized accounting, patient databases, transcription of a physician’s notes, and applying standardized codes to patient records. 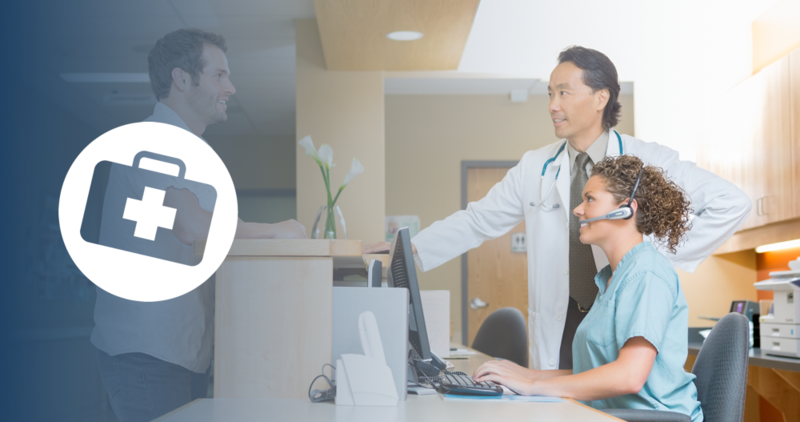 As a front office staff member, you have the opportunity to have direct contact with your patients while also completing specific assigned administrative tasks. Patients will identify with an office based on their impression of and interactions with the front office personnel. A welcoming and friendly, yet detailed and organized candidate will most likely find success in this area of the healthcare industry. Students are required to have earned a high school diploma or its equivalent to become a medical front office and billing receptionist. Furthered education includes programs that offer certificates and associate degree in medical front desk, medical receptionist, or medical administrative assistant training. Take advantage of opportunities in the medical field. Med Career Now will help you get started. Fill out our application and request information from one of our featured medical schools at no cost to you. Start building your educational foundation as a medical front office staff member today. To learn more about the industry and becoming an integral part of the medical front office and billing staff, make sure to review our common career questions. Up Next... Looking Into Becoming A Medical Records Technician?